As the Yankees completed an incredible comeback from a 2-0 deficit against MLB’s best team, the Cleveland Indians, on Tuesday night, one of the major keys was a trade the Yanks made back in July. 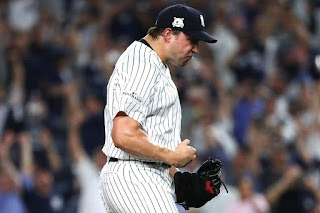 By acquiring Tommy Kahnle, David Robertson, and Todd Frazier, the Yanks added to their stacked bullpen and gave themselves depth at first and third base. Well, fast forward a few months later and all three guys played a crucial role in the ALDS. Frazier has started all six postseason games for the Yankees and the numbers suggest he’s been below average. That was the case up until game four, when he had a crucial RBI double, along with a walk and two runs scored. In game five, he went 0-for-3, but he worked a walk and also made an incredibly heads-up baserunning move in the ninth inning. That run gave the Yankees a three run lead heading into the bottom of the inning, virtually putting the game out of reach. Frazier has also been reliable in the field at third base, helping cover up Chase Headley’s horrible third base miscues from earlier this year. Tommy Kahnle was perhaps the biggest unknown of the July trade and has been absolutely dominant thus far in the playoffs. He played a major role in the Wild Card game against the Twins, where he didn’t allow a baserunner in 2.1 innings. In fact, not one hitter has reached base against Kahnle this postseason across five innings. Kahnle’s struck out six in his three appearances and perhaps the biggest key to his success has been his efficiency. In game four, Kahnle used up just 22 pitches in two innings, while striking out five in the process. Kahnle has thrown just 59 pitches in his five innings in which he’s faced 15 batters, which is good for a little less than four pitches per AB. 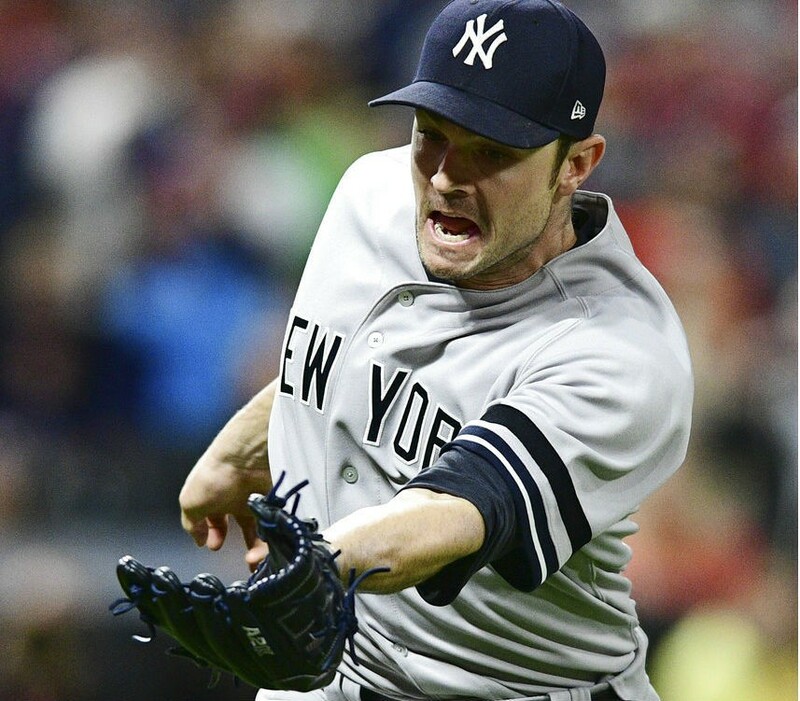 Speaking of efficient, David Robertson was just that in game five. Robertson has proven to be capable of pitching multiple innings for the Yankees in this postseason. D Rob did allow a crucial solo homer to Jay Bruce in game two, which tied the game up 8-8 in the eighth inning after the Yankees were previously up by five runs. Other than that though, Robertson has given the Yankees some great outings this postseason. He was one of the many MVP candidates in the series-clinching game five, when he gave the Yanks 2.2 innings. Easily the biggest part of it was when he relieved CC with one out in the fifth with runners on first and second and the Yankees up just 3-2. Facing one of the best shortstops in baseball in Francisco Lindor right away, Robertson induced a ground ball, double play ending the threat. This was really the last major threat of the game for the struggling Indians offense, as Robertson shut them down for two more innings. For the postseason, including a 3.1 inning effort in the Wild Card game, Robertson has allowed just four hits and one run in eight innings of work while striking out ten. While assessing the impact each of these three have had on the Yankees at the end of the regular season and the postseason thus far, it’s reasonable to say the Yanks would not be in the ALCS if Brian Cashman didn’t pull the trigger on the July 19th trade. Even better is Frazier is the only free agent of this bunch and it’s looking more and more likely that the Yanks will re-sign him this offseason. Thank you, Brian Cashman and this trio for being a huge part of the Yanks run to the ALCS.